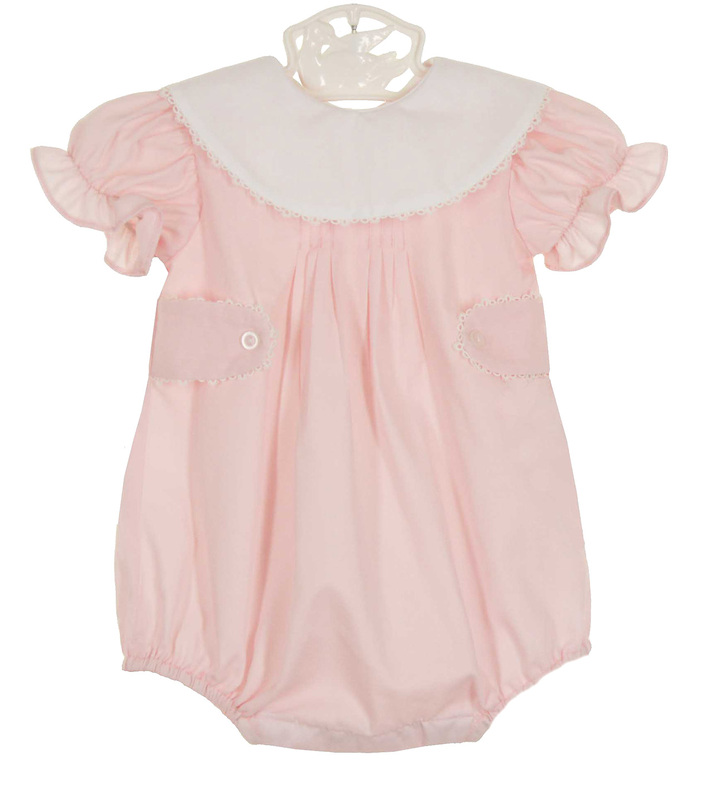 This lovely pink cotton blend batiste bubble is made by Anvi Kids, a leading designer of beautifully detailed special occasion children's clothing. 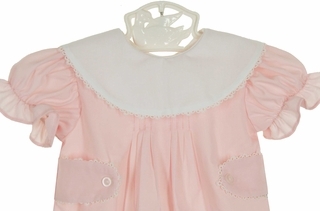 It features a pintucked bodice with short puffed sleeves. The front buttoned tab accents and white portrait collar are edged with white tatted trim. The bubble has a back buttoned closure and snaps in the crotch for easy changes. What a sweet portrait or baptism outfit for your baby girl! 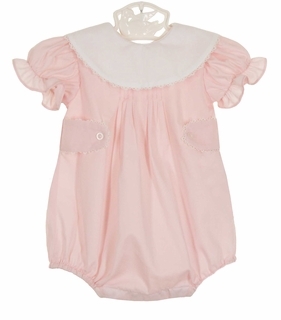 Similar baby boy's rompers are also available in pale blue and ivory. See below.